The former Miss Minnesota contestant first attracted attention for wearing a burkini during the swimsuit competition. 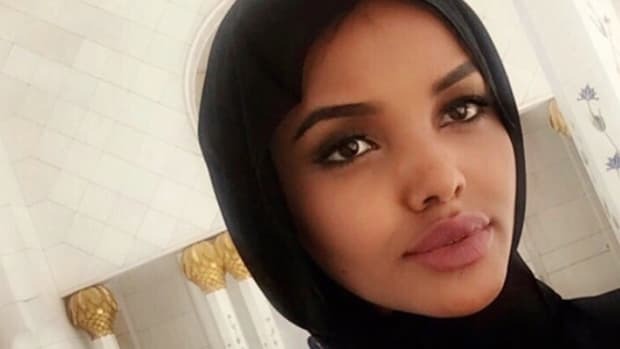 New IMG Models signee Halima Aden first made headlines last month when she competed in the Miss Minnesota pageant. Aden didn&apos;t win, placing in the top 15 contestants, but her choice to wear hijab and a burkini during the swimsuit portion of the pageant threw her into the spotlight in an even more significant way. IMG announced on Wednesday that it has added Aden to its wide-ranging roster of models that already includes the likes of Gigi Hadid and Hari Nef. A few big gigs are already on the horizon for Aden, who will make her New York Fashion Week debut at Yeezy Season 5 on Wednesday. She&apos;s also set to appear in the next issue of CR Fashion Book, and editor-in-chief Carine Roitfeld has made it clear that she&apos;s a big fan. "Halima is breaking boundaries of beauty and perception by being herself," said Roitfeld in a release. "I find this incredibly inspiring, and I know she will be an icon." Roitfeld went on to reveal that Aden stars in an editorial about Paris — where "a mix of global cultures converge" — in the next issue of the magazine. Despite Aden&apos;s industry buzz, the 19-year-old claims that she never had modeling in mind. A Somali-American born in a Kenyan refugee camp, Aden asserts that the proudest day of her life was the day she became an American citizen. And as an A-student and homecoming queen, Aden has lived much like any high-achieving American student. Still, she&apos;s excited about the chance to represent Muslim womanhood in a way she rarely saw growing up. Not having public role models who looked or dressed like her was a "struggle," she told Business of Fashion. And considering that six out of 10 Americans have rarely or never had a conversation with a Muslim, according to a study conducted by the Public Religion Research Institute, citizens of all stripes could benefit from seeing more nuanced Muslim representation in the media. 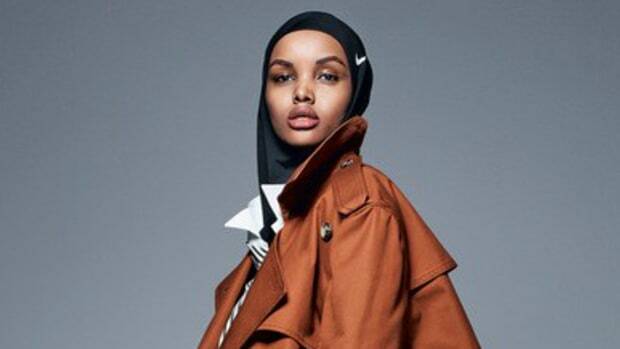 It&apos;s worth noting that Aden is not the first Muslim model to be signed by IMG, and there&apos;s a real danger in equating "first hijabi" with "first Muslim woman" due to the ways it can lead to tokenism and the erasure of non-hijab-wearing Muslim women. Even so, it&apos;s exciting to see someone who&apos;s visibly Muslim — and making the modest clothing choices her conscience requires — celebrated by the fashion establishment. For the scores of hijab-wearing women who love clothes and are often ignored by the mainstream because they&apos;re unwilling to play along with the sometimes sexualized norm, Aden&apos;s success could be a beacon of hope. "I [want] to spread a positive message about beauty and diversity, and to show other young Muslim women that there is room for them," Aden told BoF. With bigwigs like Kanye West, Carine Roitfeld and IMG lending their support, there&apos;s a good chance Aden will succeed. What's more American than freedom of religion, self-expression and denim? One of the industry's most prominent agencies scored itself another Instagirl.